Using small Unmanned Aerial Vehicles (UAV) as data acquisition platforms and autonomous or semi-autonomous measurement instruments has become attractive for many emerging applications. 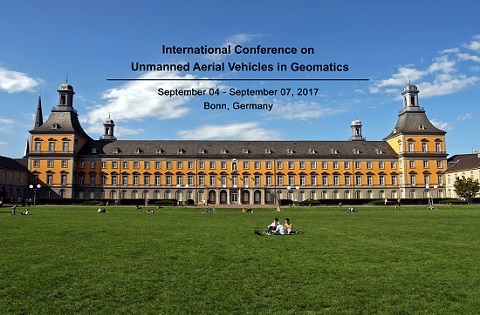 The aim of UAV-g 2017 is to bring together experts in photogrammetry and remote sensing, surveying, robotics, computer vision, artificial intelligence, aerospace engineering, geosciences and various UAV user communities. UAV-g is a great opportunity to learn about the most recent developments and to exchange views on the future directions of UAV in geomatics research, applications and services.